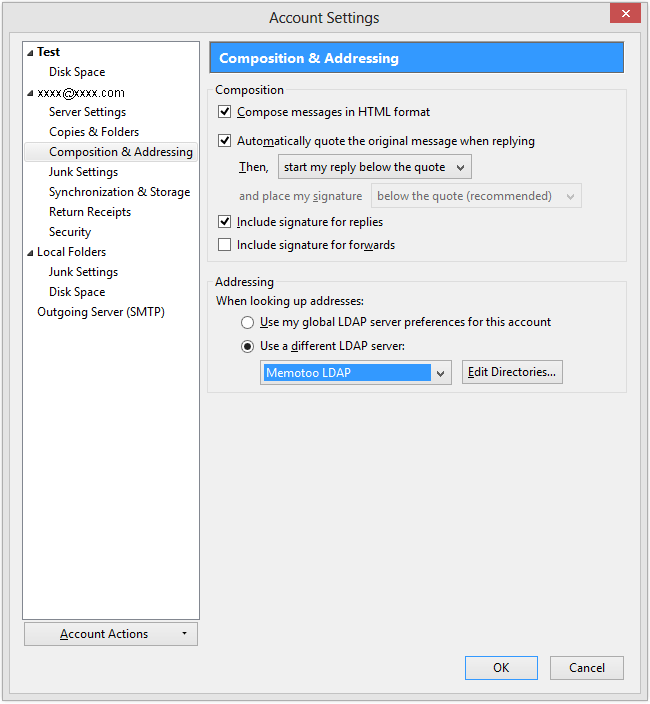 A LDAP directory is a system to store data that can communicate with the majority of e-mail clients. 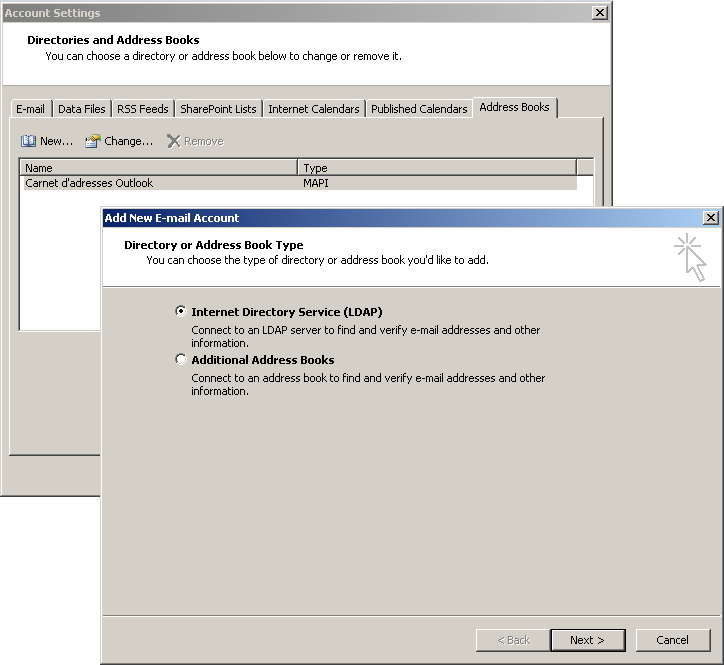 Here this system is simulated so you can access your Memotoo address book directly in your e-mail client! 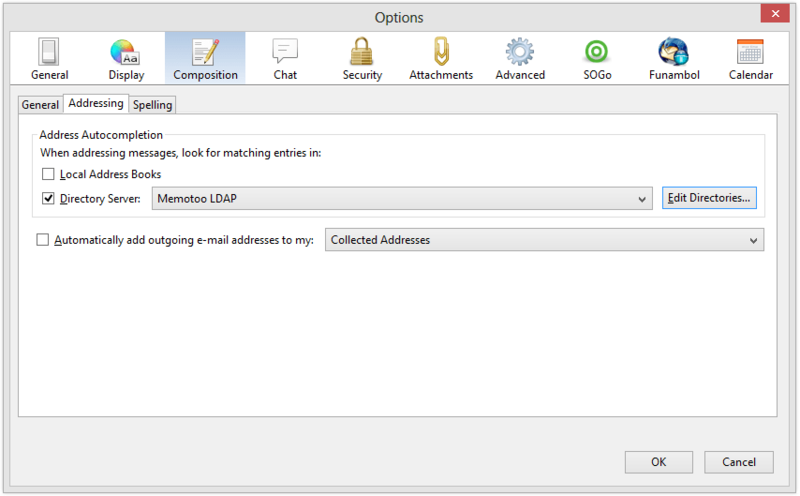 » Mozilla Thunderbird will show suggested e-mail addresses stored in Memotoo! In "Composition" check the "Directory Server" box and click "Edit Directories..."
To test if it's OK write a new e-mail, start typing the beginning of a name or e-mail address of one of your contacts in the "To:" field and wait until Thunderbird shows a list of suggested contacts (this could take few seconds). 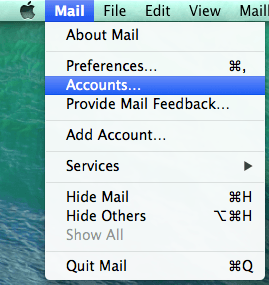 Express directly with the function "Search contacts"! 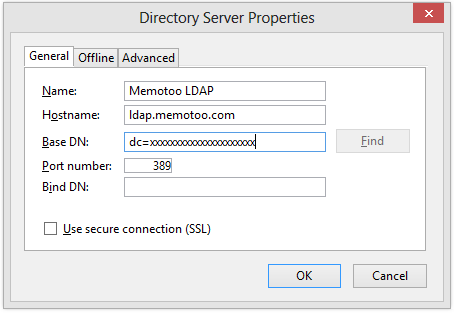 Click "Directory Server" and click "Add"
» The software will show suggested e-mail addresses stored in Memotoo!